Two more words: FREAKIN’ AWESOME. Alternate title: How do you make Chocolate Dipped Jalapeño Bites even better? 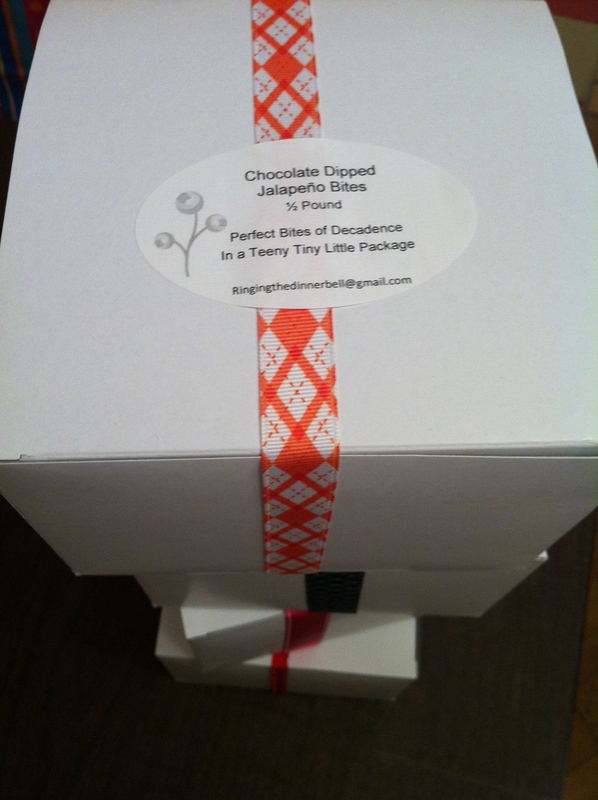 Tomorrow I deliver my first orders of my Jalapeño Treats and I’m a LITTLE EXCITED about this! All packaged up for delivery tomorrow! 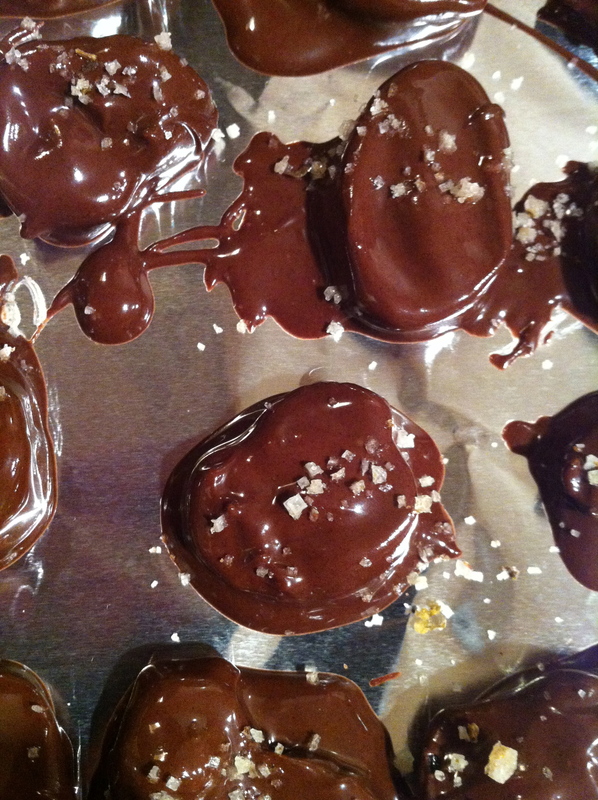 Then – a friend asked if I could top her batch with a little sea salt. Let me just say: Tiffany is a GENIUS. These babies are SERIOUSLY awesome. I’m not gonna bore you with a reprint of a recipe I posted before. 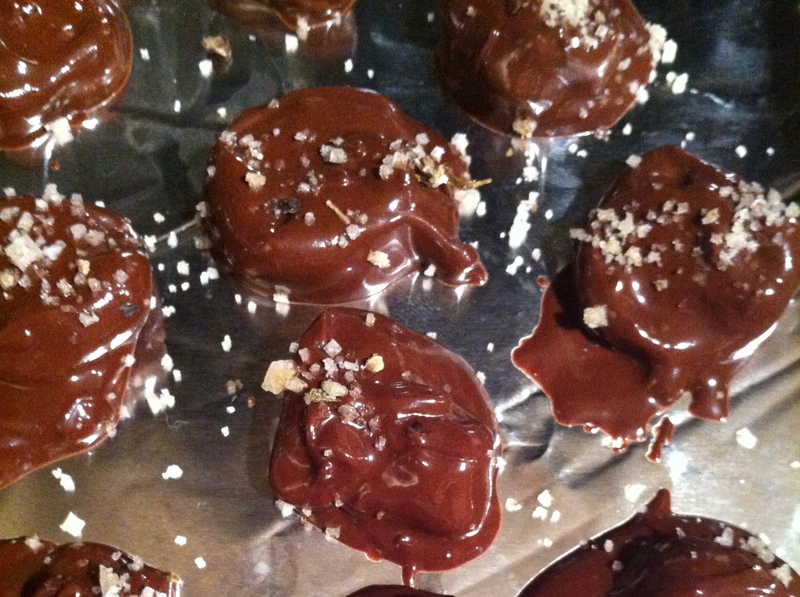 Just sprinkle a little of your EXPENSIVE sea salt on top of your just dipped-in-chocolate candied jalapeños. Do it while the candies are still moist, so the salt sticks. Now go take a picture of yourself eating these and send it to me. Holy CRAP these are good! RANDOMNESS: I remember hearing once that in order to ensure good dreams, you’re supposed to fall asleep with the tiniest little square of chocolate in your mouth. I’m soooooo gonna have good dreams tonight. 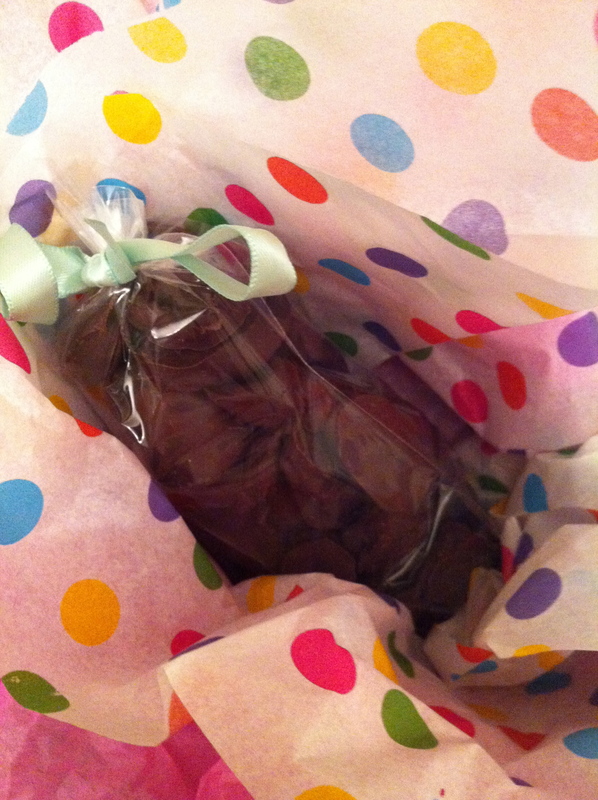 RANDOMNESS #2: A BIG FAT THANK YOU to my husband for helping me make and package these treats. Love you! Now go – eat some chocolate!! Good luck on this new venture. Looking good!! !